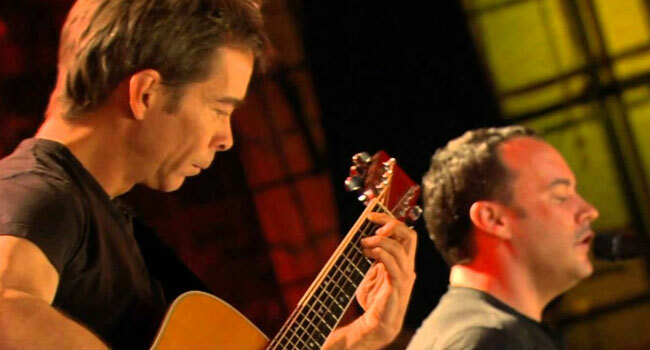 Dave Matthews and Tim Reynolds are excited to announce plans for a second outing to Mexico! Set for January 12-14, 2018, the all-inclusive concert vacation features three nights of Dave Matthews and Tim Reynolds performing on the beach in Riviera Maya, Mexico, just steps away from the ocean. Additional artists will be announced in the coming months. This serene Caribbean getaway, designed in partnership with CID Presents, will offer guests a fully curated experience: exclusive access to three nights of beachside performances, all-inclusive food and drink, premium hotel accommodations, shuttle service to and from Cancun International Airport and 24-hour concierge service. Guests can choose from five tropical resorts including the concert’s host resort, The Barcelo Maya. Additional resorts include The Hard Rock Hotel, Banyan Tree Mayakoba and Rosewood Mayakoba. Daily on-site activities and off-site adventures like deep sea fishing, zip-lining, ATV tours, day trips to Tulum and more will be announced closer to the event. The inaugural event took place in February and sold out in advance. An online pre-sale will begin for Dave Matthews and Tim Reynolds Riviera Maya 2018 on Wednesday, July 19th, at 1 pm ET at warehouse.davematthewsband.com for members of the DMB Warehouse Fan Association. Citi is the official credit card of Dave and Tim Riviera Maya, Mexico. Citi cardmembers will have access to pre-sale packages through Citi’s Private Pass Program beginning Friday, July 21st at 1 pm ET. The general public on sale will be Monday, July 24th at 1 pm ET. Matthews and Reynolds, who recently wrapped up a North American tour, will perform together at Farm Aid 2017, which will take place September 16th at Keybank Pavilion in Burgettstown, PA.